The birth anniversary of Padmashri Mahendra Kapoor was celebrated by his family and the Sahyog Foundation at a concert event on 7th January 2010, in Mumbai. Various artistes performed in memory of the revered singer at the occasion. The organizers honoured Madanji's memory with a special trophy, received by his son, Sanjeev at the hands of the chief guests, Ram Jethmalani and Yash Chopra. 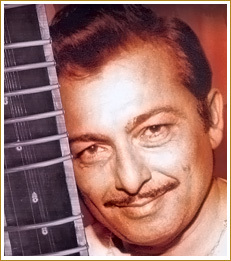 Madanji was among the five top music directors who awarded Mahendra Kapoor the best singer trophy at the Metro Murphy Music Contest held in 1957, which was the starting point of Mahendraji's career.